Dr. Anroy Ottley is a board certified general surgeon at Jersey City Medical Center. His private practice is located in Jersey City, New Jersey where he meets with patients suffering from all disorders and injuries to help them understand their range of surgical treatment options. Dr. Ottley is a leader in single-incision laparoscopic surgery procedures (SILS) for a wide variety of medical conditions, focusing on treatment of the abdomen and related organs. He is part of a small but growing group of physicians in the country using this type of innovative, minimally invasive technique that reduces recovery time and stress on the patient’s body. Dr. Ottley is passionate about ensuring that patients receive medical care tailored to their needs. Throughout his years of experience, Dr. Ottley has been recognized as a general surgeon with great skill and a high degree of compassion for his patients. In 2011, the Law Enforcement Journal of NJ granted him the award of Superior General and Trauma Surgeon. 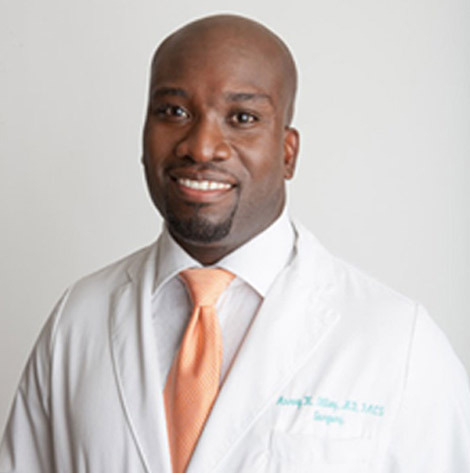 Dr. Ottley graduated from St. George’s University School of Medicine and completed his residency in general surgery at St.Barnabas Medical Center in Livingston, NJ. He is a Fellow at the American College of Surgeons.